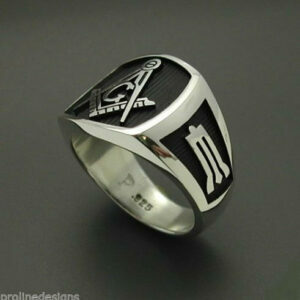 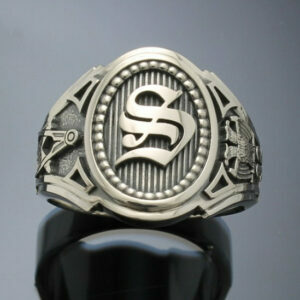 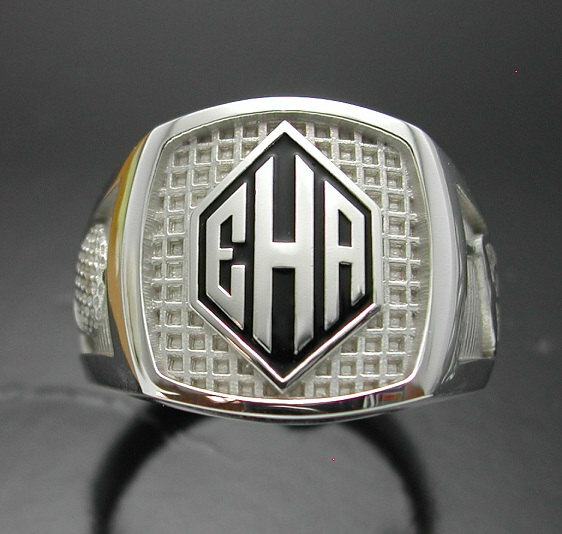 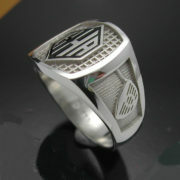 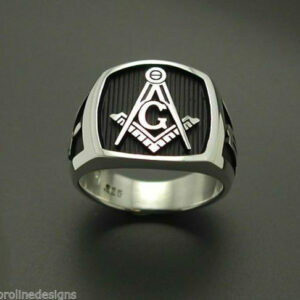 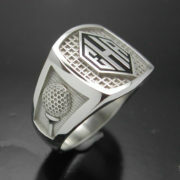 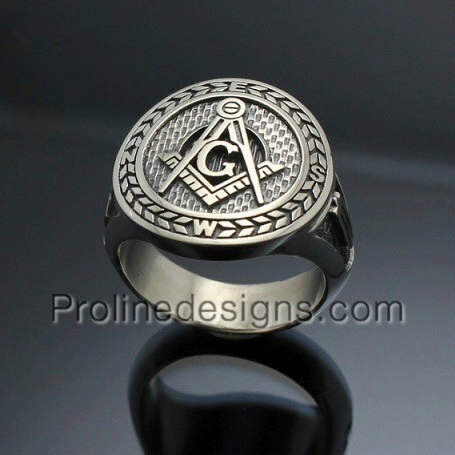 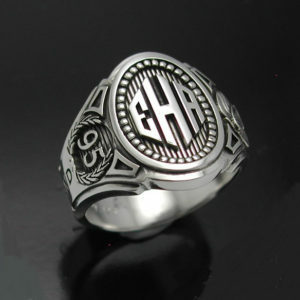 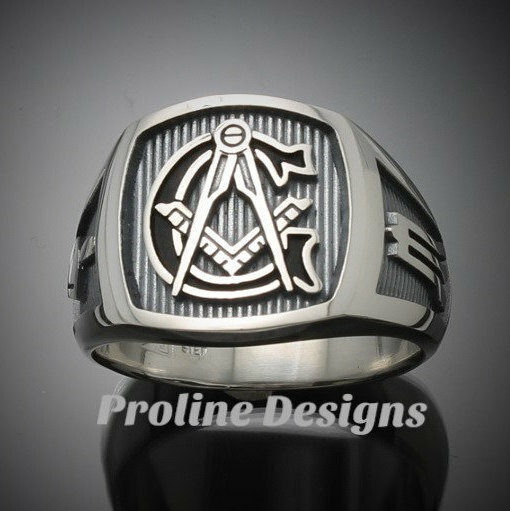 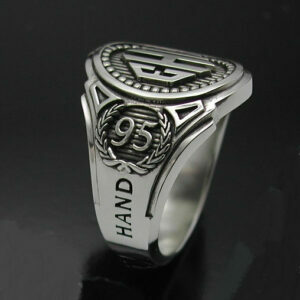 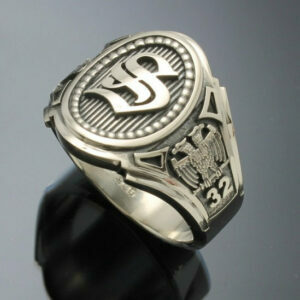 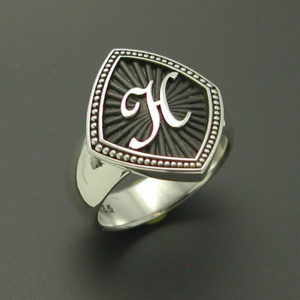 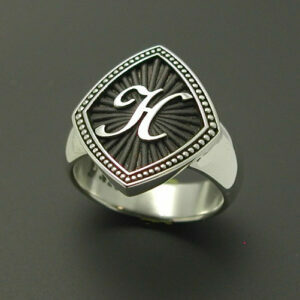 This is a custom made to order monogram ring with a golf motif on the sides. 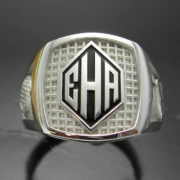 The background of the center lowered area is a vintage mesh golf ball pattern from the 1920's. 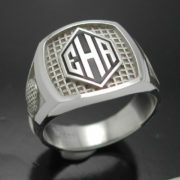 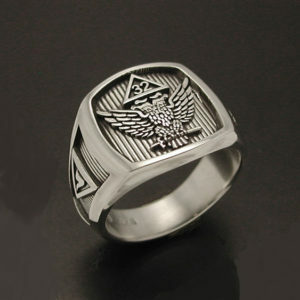 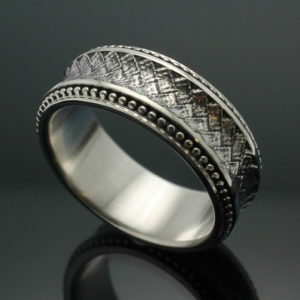 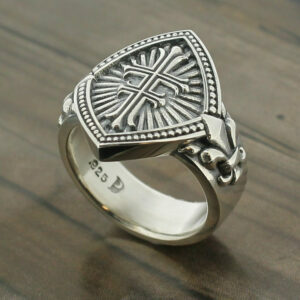 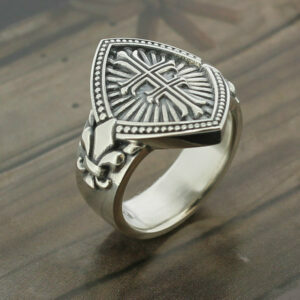 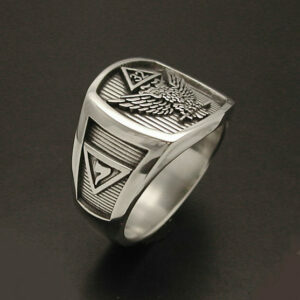 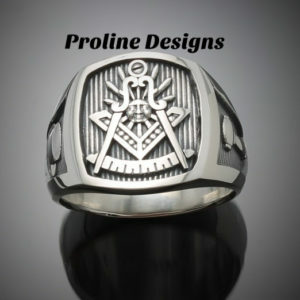 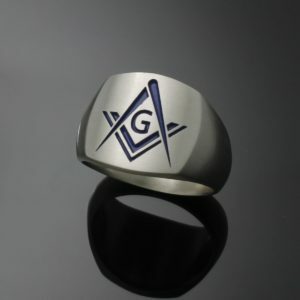 We manufacture these rings in sterling silver. 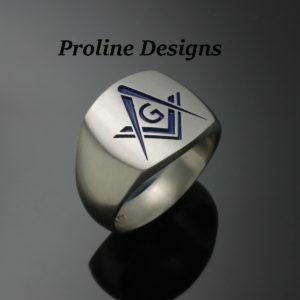 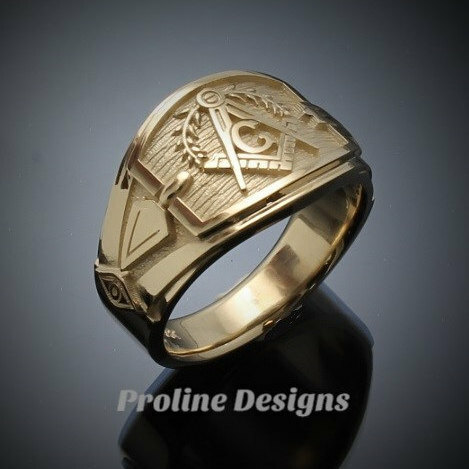 Include your finger size and your 3 initials for us to design your new ring with. 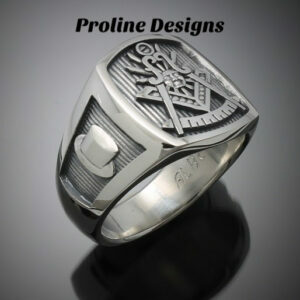 Feel free to contact us with any questions when ordering.